This handwritten recipe was recently discovered in my mother-in-law's old recipe box. I have been slowly working my way through her collection of recipes as well as my mother's recipes to determine which of them we wish to keep. Now I will be the first to tell you that eating almond paste cookies despite the fact of them containing some healthful attributes will never make the portion of the food pyramid that nutritionists espouse. 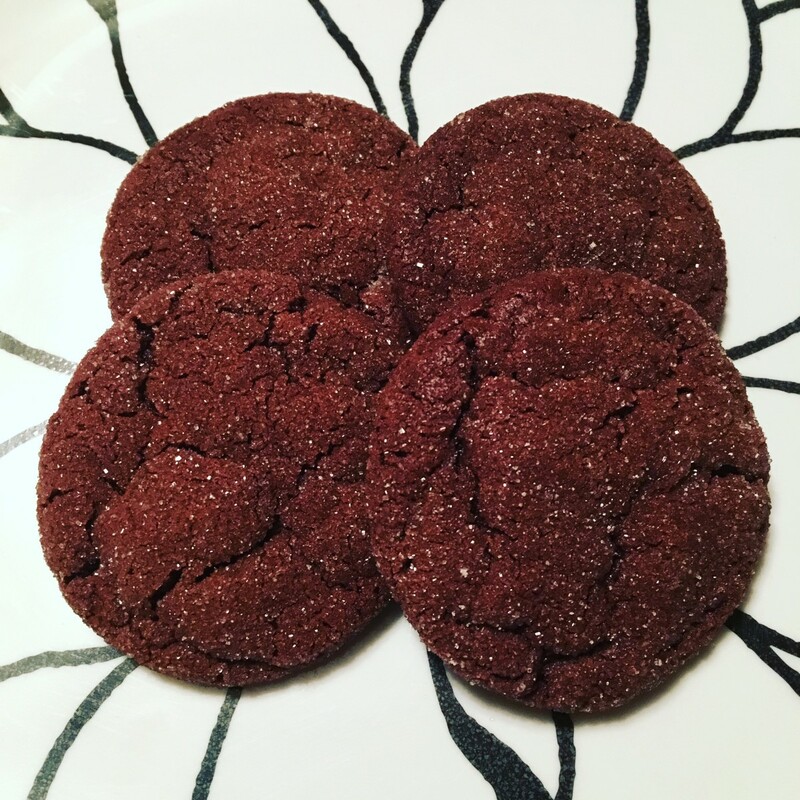 But for an aromatic and delicious sweet treat these cookies are hard to beat for flavor. Eat and enjoy them in moderation if you can control yourself! 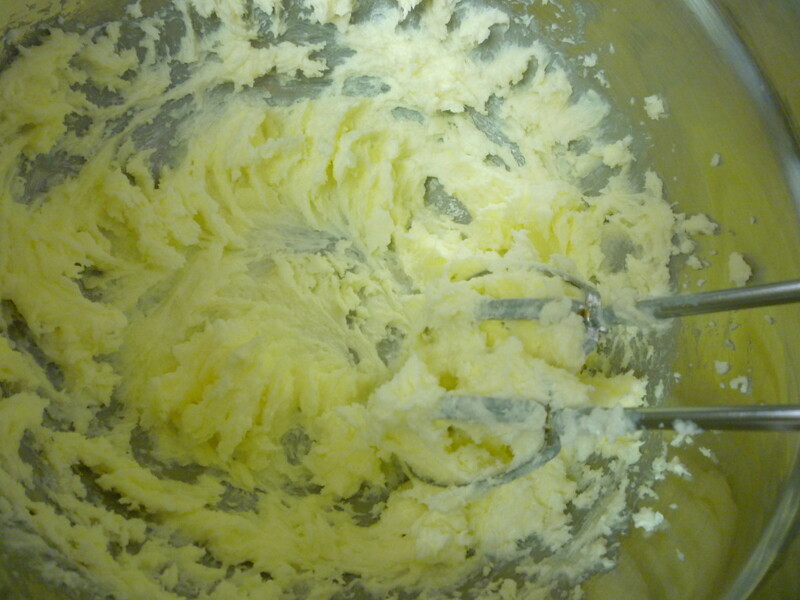 Cream the butter with the sugar and when well mixed beat in the eggs. Add the flour and baking soda to the creamed mixture. I almost always sift the dry ingredients together just to make sure that there are no lumps in the mixture so that it gets evenly distributed in the batter. Mix in the almond paste. If the dough gets too stiff and hard to work with, add a few drops of water. Since I only used 7 ounces or 198 grams of the paste instead of the 8 ounces it called for in the recipe I did not have to add any water. Apparently this nut paste used to be sold in larger packages years ago. Finally mix in the nuts. You can use any kind of nut you may have on hand. Drop by half rounded teaspoonfuls onto greased cookie sheets. I used Pam cooking spray. Leave plenty of space between the cookies because they spread out quite a bit. I only put 12 cookies on each normal sized cookie sheet and it was perfect. Note: The recipe did not call for this but I decided to press a slivered almond on the top of each ball of dough before baking just for decorative purposes. 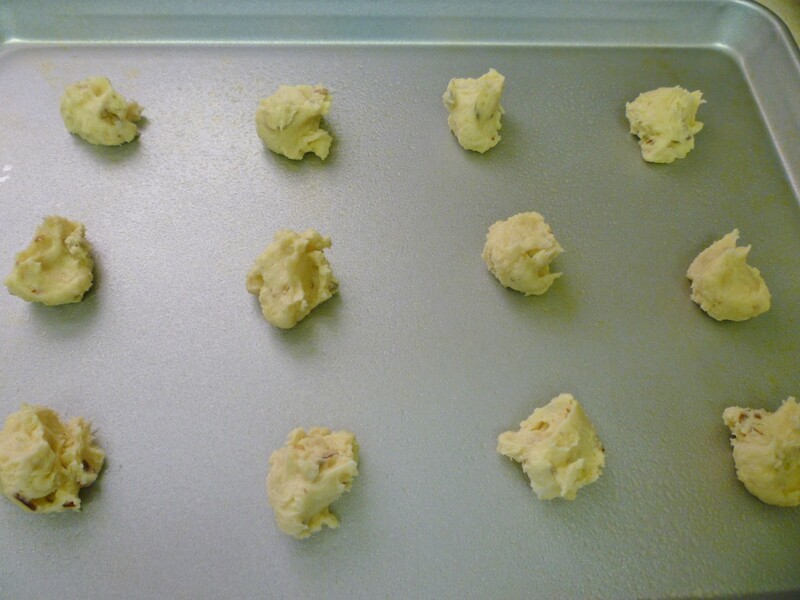 Bake in a 325 degree Fahrenheit oven for 15 minutes or until the edges of the cookies turn a golden brown. After the cookies are out of the oven, let them rest for 30 to 60 seconds before removing from the cookie sheet to a wire rack for cooling. The brand that I used was Odense. According to their packaging, they have been in business since 1909 and it is "Made in Denmark using California Almonds." It would be worth purchasing a box just to acquire those recipes! 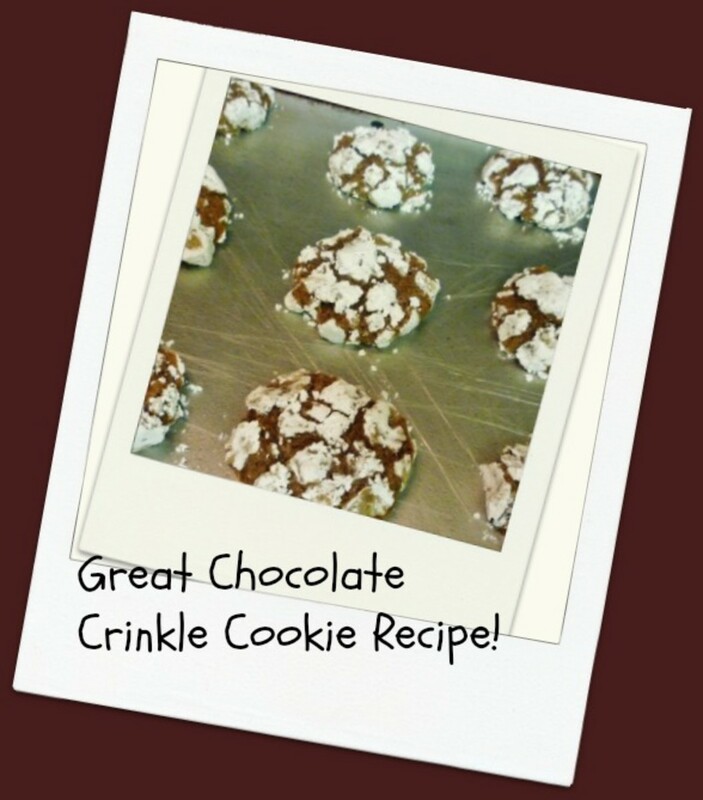 This is the exact brand we used with great success in making this delicious cookie recipe. My mother-in-law also used to use this same brand in making other pastry recipes. 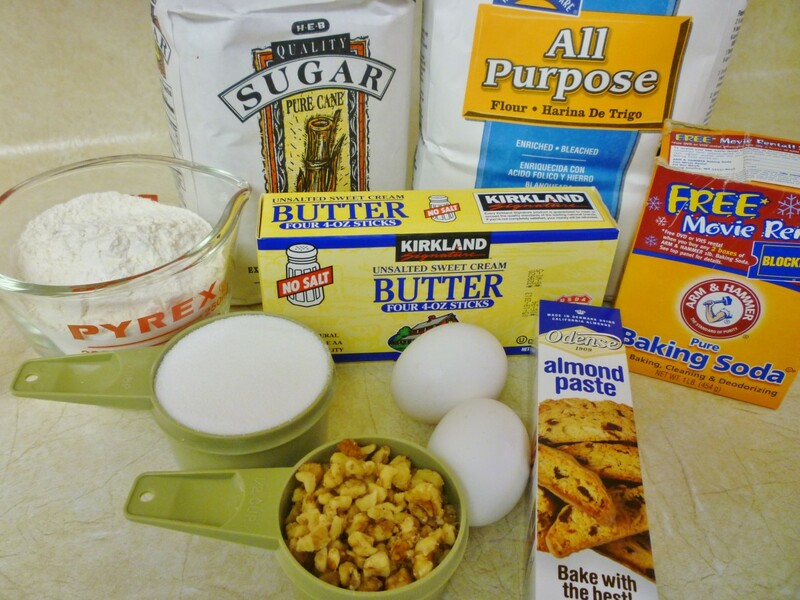 Are you ready to make some almond paste cookies? Yes, I'm drooling! They look so good! I'd rather you send me some! Do you have my address? Sad to say, I'm on a reducing diet so not anytime soon. Those other recipes on the Odense box sound even better! I have to get some almond paste soon! Originating from the Mediterranean countries, these trees are now grown in many other parts of the world where suitable growing conditions are met. This includes places like Spain, Greece, Turkey, Northern Africa and even parts of the United States among other locations. These particular trees thrive in warm to even hot temperatures as long as they get sufficient water. They do not like overly humid conditions. The gigantic Central Valley of California where a good percentage of United States food is grown is just about perfect for the growing of these trees. 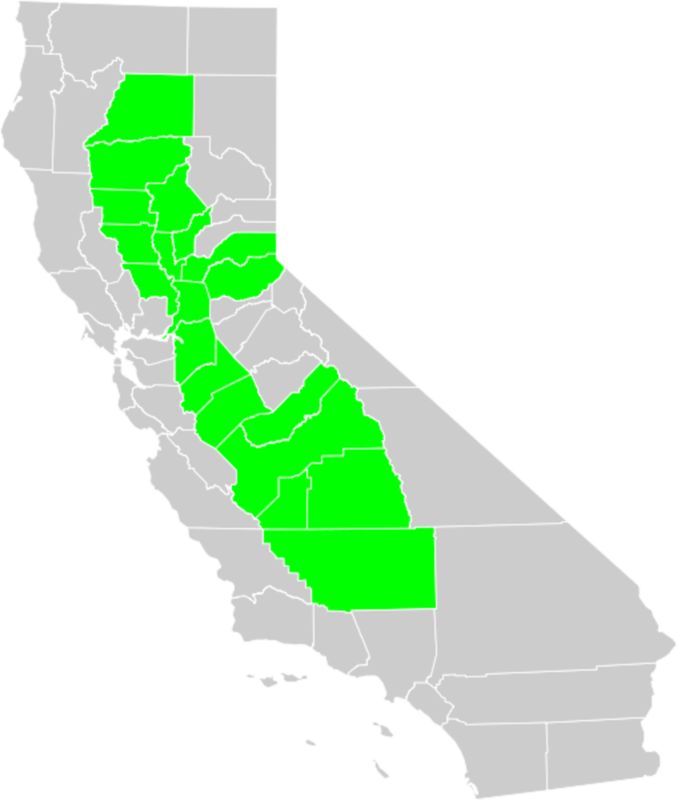 Just about three fifths of the worlds production comes from California and much of it is exported. Eating various types of nuts can be a healthful addition to one's diet. Almonds are a good source of fiber. They contain Vitamin E as well as some B vitamins and minerals. Additionally they have mostly monounsaturated fats which can potentially lower cholesterol among other good effects on the body. In our home we typically keep roasted ones on hand as well as blanched slivered ones, almond extract and occasionally almond milk for drinking. Did you know that you can make your own milk and paste from these nuts? The video below shows just how easy it is to accomplish making the milk. Left over pulp can be used for soothing skin treatments by adding a few other fragrant ingredients. There are many variations. As infrequently as I need this ingredient in my recipes, I think that I will simply purchase the tried and true Odense brand in the grocery store when needed. 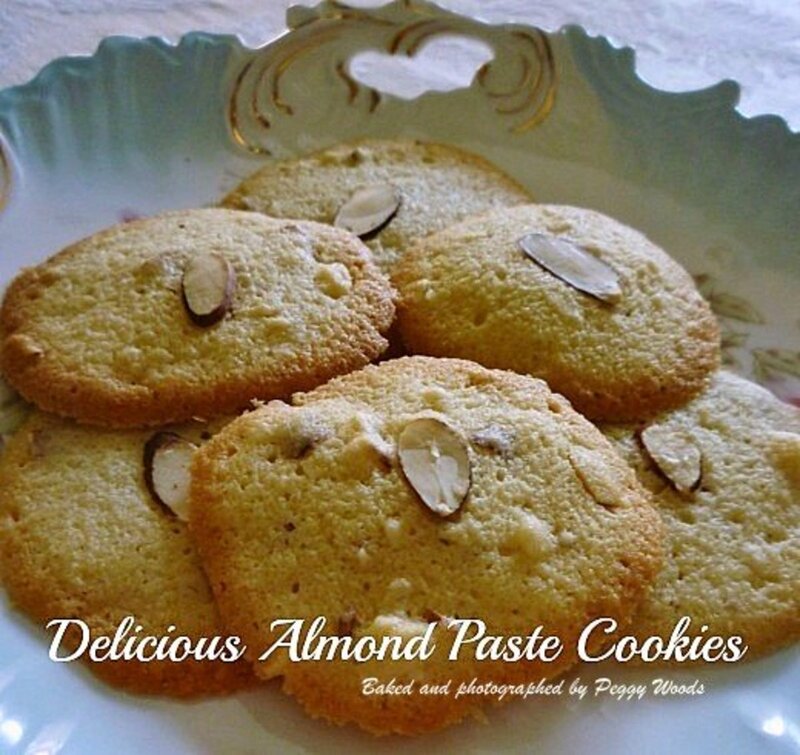 If you like the taste of almonds you are sure to like this almond paste cookie. Nice that you were able to get that almond wood for your fireplace. I would imagine that it was a hardwood? I think I might try this. 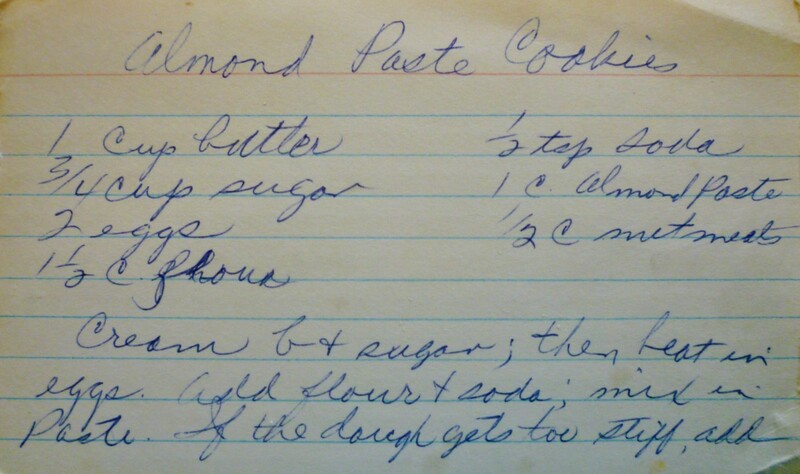 I've had a can of almond paste in my pantry for a long time-- but I think it's still good. We have a lot of almond orchards around here. A few years ago a dady not far from here was taking out a lot of old almond trees and giving away the wood to anyone who would clear it away-- made really nice firewood. You are bound to love eating these cookies judging from your comment about loving the flavor of almonds. Enjoy! Hi Peggy, I will have to look for almond paste because these cookies make me want to eat the picture. lol I love almonds and I will love these cookies. Not to mention that almonds are so good for you. Thanks for sharing. 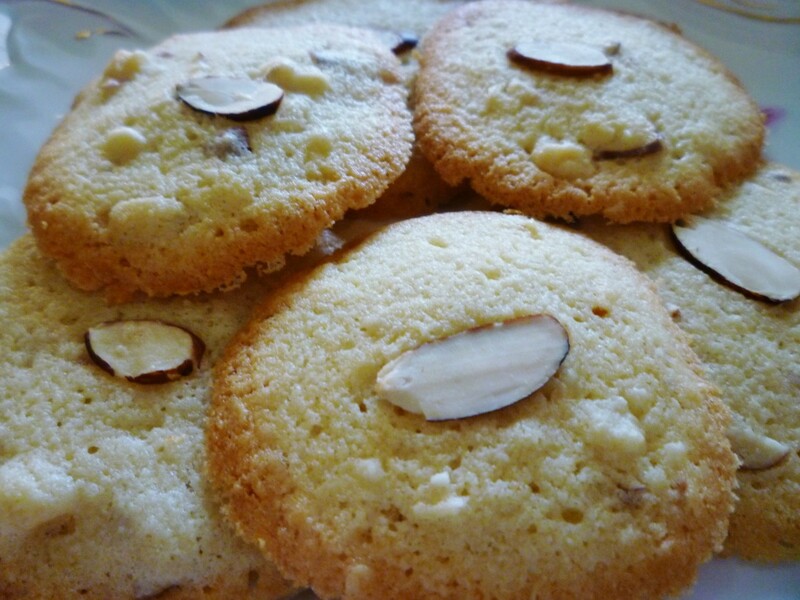 If you like the taste of almond cookies, I am sure you would really like this recipe. Enjoy! I love almonds, and I have enjoyed almond cookies. I will share your hub on Pinterest, and I need to try this recipe. You are frequently in my thoughts and prayers. Thanks for the visit and well wishes on this cookie hub of mine. Always nice hearing from you. Visiting back, Peggy. Thank you for taking the time to say hey and let me know we are thought of. Thanks for the informative hub. My sons LOVE marzipan so I bet they'll adore these cookies. That pastry shop in Italy sounds wonderful! Am sure you will like this almond paste cookie recipe. Almond paste gives food items such a distinctive and wonderful flavor! This recipe sounds very yummy and brings childhood memories back of when I lived in Italy. This pastry shop made almond cookies and they were topped with candied red and green cherries or a round sliver of candied orange peel. I miss them dearly, will have to try this almond cookie recipe! 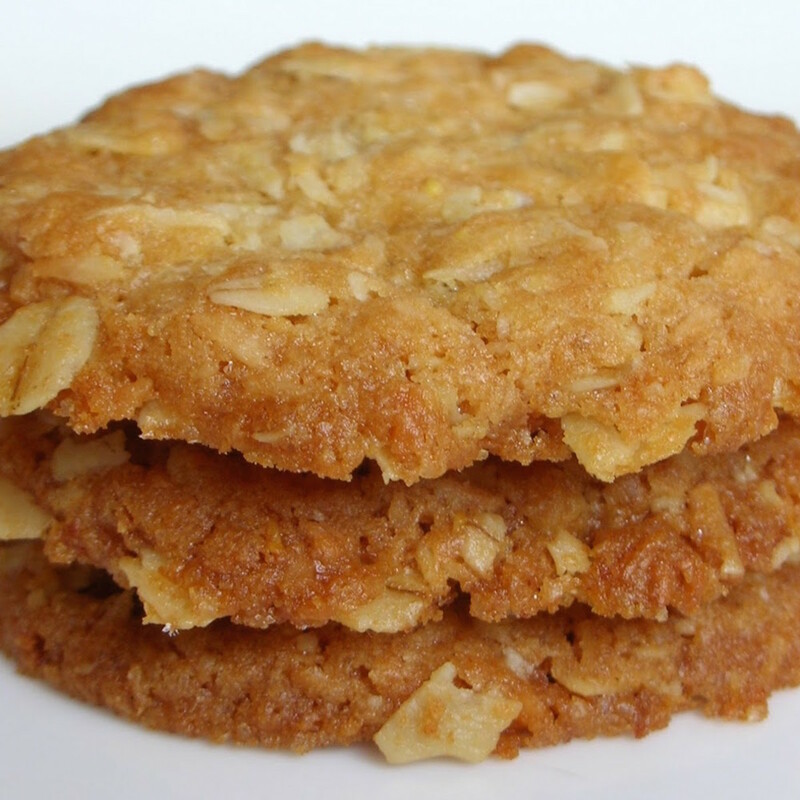 Glad you like the sound of this almond cookie recipe and thanks for sharing it. I just shut down my Facebook account after reading the following: Get your loved ones off facebook. You can Google that to find out why. I double checked some of the many links and even Wikipedia confirms it. This sounds good and I love almond cookies. Thanks for sharing the recipe Peggy. Voted up and shared in my fb account. These cookies look delicious and using your Mother in Law's recipe is such a wonderful way to pay her tribute. I've never tried using almond paste in any recipes. This looks interesting. The hubby loves almond cookies. I also learned much about almonds that I didn't know. Thanks! In this case I do not believe that sunflower oil would be a good substitute for the butter. I doubt that the cookies would hold their shape with just the oil. i don't have butter, can i use sunflower oil? If you like almonds you are sure to really like these cookies. 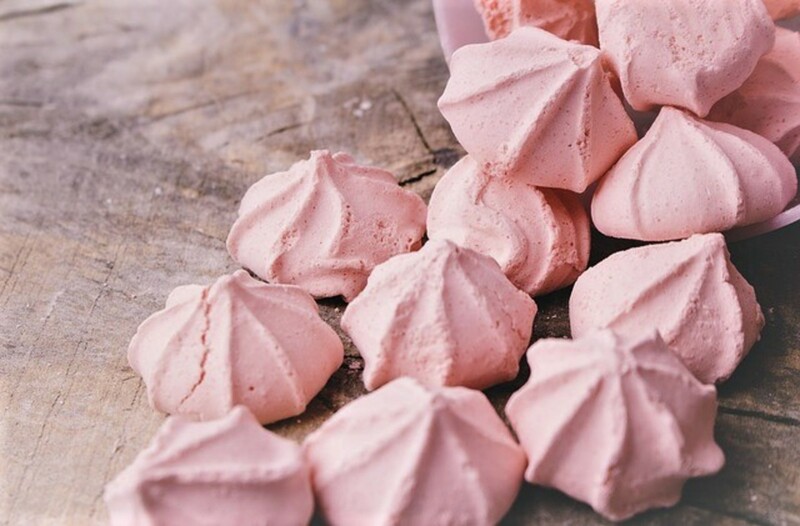 Your home will smell heavenly while baking these as you suspected. Sending angels to you on this fine day. Hope you enjoyed your Thanksgiving together. These look so good and the house will smell divine while they bake. I am a huge fan of almonds...in salads and in so many other dishes. I have to try this. Bookmarking to add to my baking list for this Christmas. Thanks Peggy. Good to know. No...the almond paste is not in the refrigerated section but can be found in the regular grocery aisles along with other baking type goods. It is pictured here in a package but I think it is also sold canned. Peggy, would the almond paste be in the refrigerated section? You should be able to find almond paste. It is not that unusual an ingredient. It is so good! The cookies look so good. I'll have to check and see if any of our stores carry almond paste. Perhaps that is a way of expanding your food knowledge and possibly broadening your palate regarding foods and flavors. I applaud you for trying the new recipes. Hope you enjoy this! I hope that these almond paste cookies are similar to the ones you had as a child in Sicily. That would be wonderful. Almond paste is such a good flavor! I was raised in Sicily as a child and there they use almond paste a lot for cookies. I will give your recipe a try as I miss these types of cookies a lot. 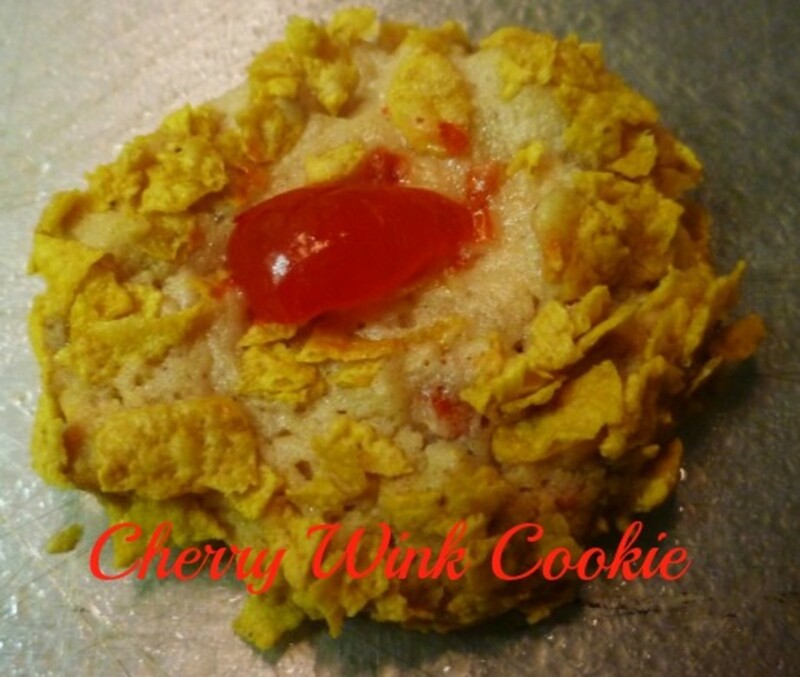 I bet that a candied cherry on top will make these cookies very similar to those I have eaten during my childhood. So glad that you liked this recipe and how it was presented. 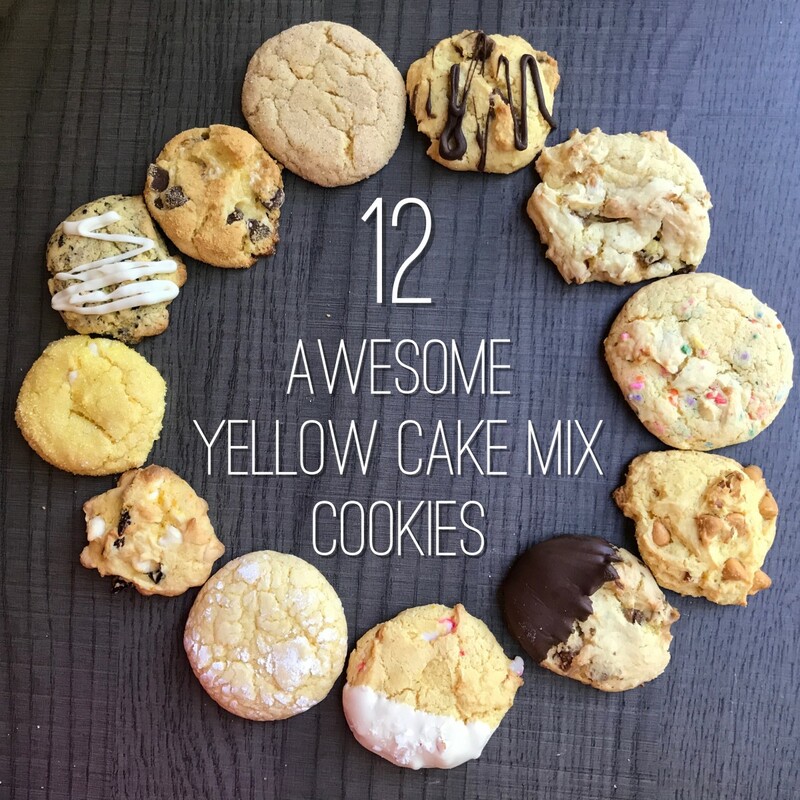 I love this type of cookie and have never made them myself. I appreciate your straightforward recipe and the background information about almond trees. Thanks for the informative hub. Hope you enjoy these tasty almond paste cookies! They are delicious! Looks good Peggy, I love almonds and "easy to make" sounds right up my alley, lol. I love almond cookies. I can't wait to try these. They look mouthwatering. So glad that you liked the history of where almonds are grown, etc. in addition to this recipe. Thanks for your comment. I should go through more of my mother-in-law's recipe cards and try some others. There might be other winners mixed among them! Thanks for the votes, pin and share. So glad you liked this! 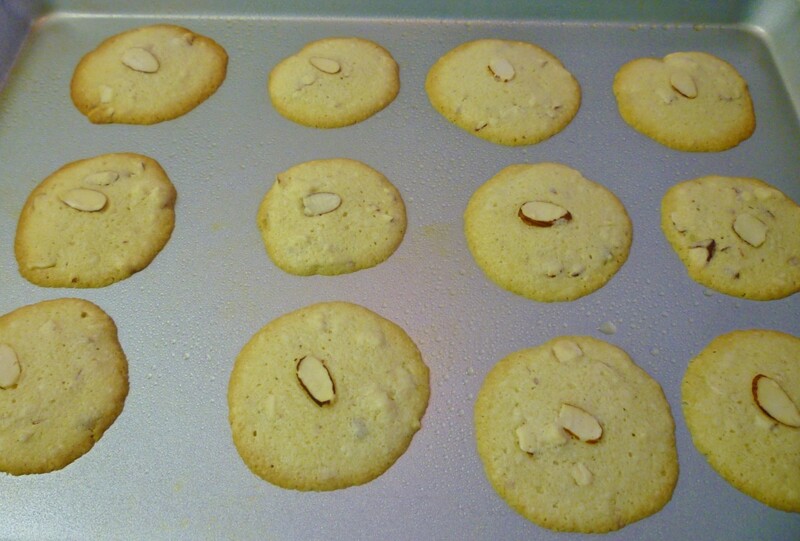 Almond cookies certainly are delicious in flavor. So glad you liked this. Thanks for the votes and shares. Hi Peggy! I love cookies and this one I am really going to try. If I am not up to the mark, I am really going to ask a bag of these mouthwatering delectable cookies from you. Well, this is more than a cookie recipe hub. This is an education! I love the history that you started with before sharing your delectable recipe. Peggy - I voted up and all across except for funny. This is really a beautiful presentation. I love the hand written recipe card by your mother. That made the hub even more special. The photos of the almond cookies are fabulous. Thanks and pinning and sharing too. A wonderful recipe with useful photos. I love almond cookies. Voted up, useful and interesting. Shared and pinned. Now I must get back to baking. Thanks for sharing this, Peggy! At least by pinning these almond paste cookies to your board, you will have access to the recipe when and if you get a larger oven. Thanks! 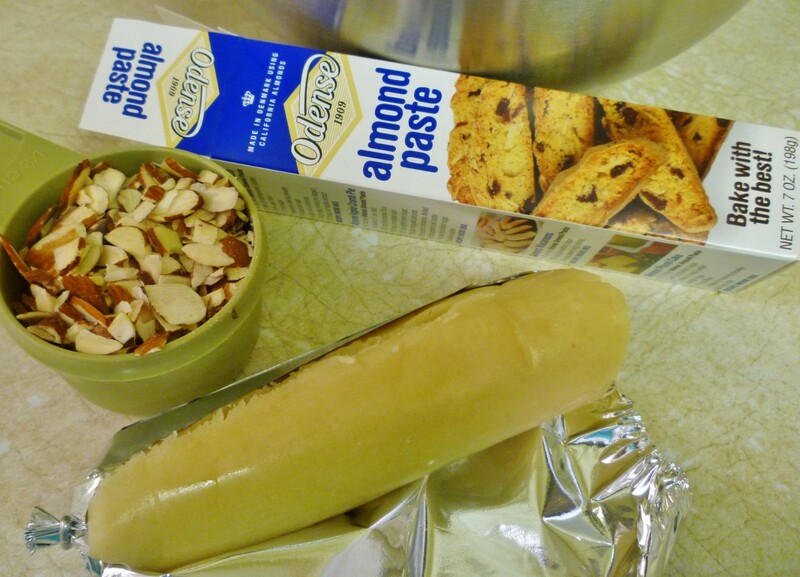 If you like almond flavoring...you will really like the ingredient of using almond paste! 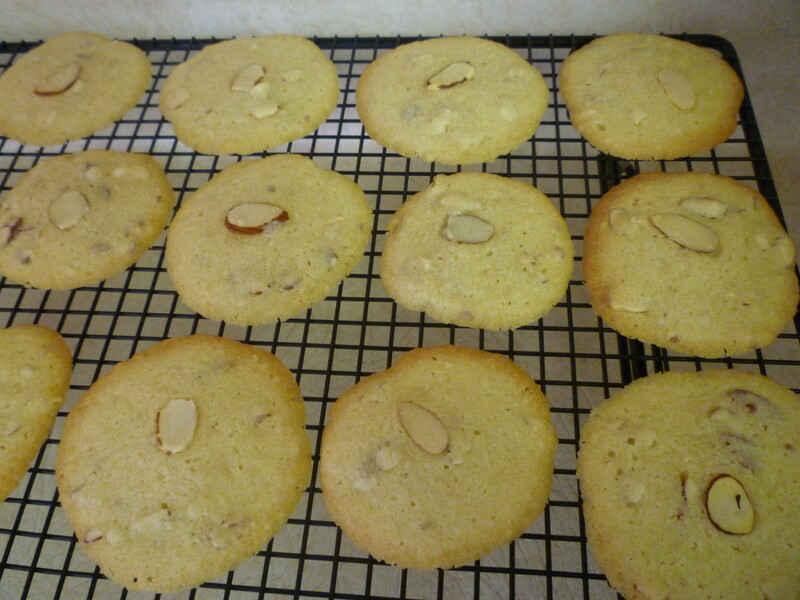 Thanks for your comment, votes and the sharing of this almond paste cookie recipe. If you like the flavor of almonds...especially almond paste...you are sure to love these cookies. Thanks for your comment. So glad that we discovered this recipe in my mother-in-law's old recipe box. It is surely a keeper! Nice to know that you will be enjoying it also. Thanks for your comment and the share. Loving almonds the way I do, I know these cookies are just waiting for me to whip up. So glad you're sharing this and so will I. If you love the flavor of almond paste you are sure to love these cookies. My husband recently finished the last one from the batch that I made. I know that he will be requesting more in the future. Thanks for your votes and comment. I love almonds and love the flavoring that almond paste gives pasteries. This looks like such a great recipe. Up and awesome. This almond paste cookie is from my mother-in-law's recipe box. She used to make another wonderful tasting pastry called Dutch Letters in which almond paste was used. We never tasted these cookies while she was alive. She must have gotten the recipe after my husband no longer lived with her because he doesn't remember eating them in her home when he was young. All that being said...this is a winner recipe! We surely intend to keep it. Thanks for your votes + the share. These almond cookies look very soft and yummy. 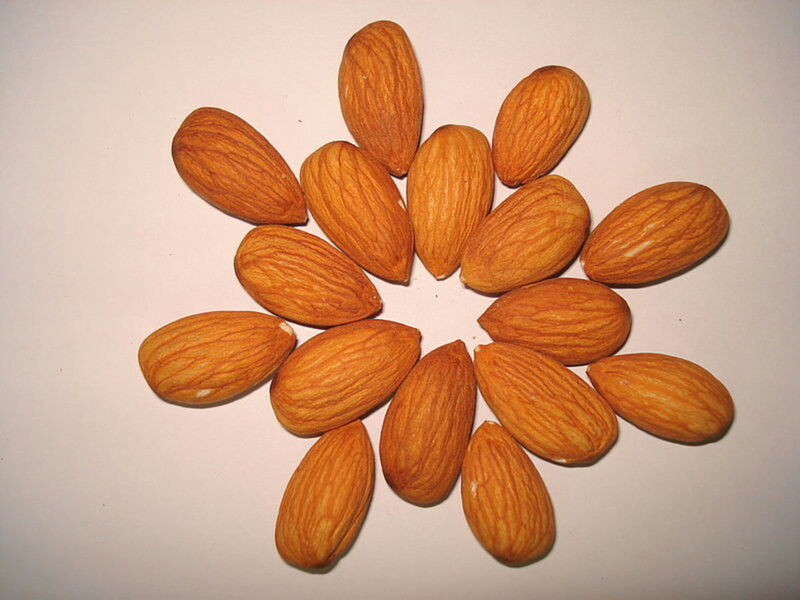 Almond itself is very tasty and hope this is another wonder recipe of your mother. Up, beautiful, useful, interesting and sharing. Almond paste makes for a very concentrated flavor. As long as you enjoy the taste of almonds, you would undoubtedly really like these almond paste cookies. Thanks for the 5 star rating, votes + share. Need to try them as I've never tasted the ones made with almond paste. Voting this up, useful and interesting. Rated 5 stars and shared. If you like good flavored thin cookies, then you are sure to like these almond paste cookies. Thanks for your comment...and most of all....enjoy! Since you are a homemade cookie lover, you will surely like these almond paste cookies. Thanks for your comment and vote. Ok, I love cookies!! I love home-made's even more. I so love your hubs! Thanks for another delightful read. Voted up! You are in for a real flavor treat when you taste almond paste in baked goods. Obviously it is a more intense almond taste and great texture. I hope that you will come back and report your taste test. These almond paste cookies are simple to make and redolent with great almond flavor. Thanks for your votes. I'd never heard of almond paste before, which is odd, since almonds are one of my favorite nuts. This recipe sounds delicious -- I'll forward this to the family cook. Voting this Up, Interesting and Useful. We also keep almonds as well as peanuts and pistachios in the house for snacks. I usually have the slivered almonds and walnuts in the freezer for when I do some baking. Glad to know that you liked this recipe. It is a definite winner...at least in our opinion. Thanks for your comment and vote up. I can just about taste them! I eat a handful of almonds every day for the health benefit. I can see how these cookies would not only be beneficial, but so wonderful as a treat. Great hub design and recipe idea. Voted up. If you like the taste of almonds I am certain that you would really like the taste of these cookies. Thanks for your comment. Perhaps we will still have some almond paste cookies left the next time you come over here for a visit. Bruce really likes them and the tin gets more empty every day. Fortunately we still have some in the freezer. Thanks for your comment. I love almonds and this recipe sounds very delicious to me. Yes...these would be great cookies to give as gifts. Thanks as always for your complimentary words, comment, votes and the share. Almond flavored cookies are good anytime. I am not familiar with Your Idul Fitri celebration. Have you written about the meaning of it? Thanks for your comment and votes. Since you like almond paste you are sure to like these cookies. Thanks for your comment. 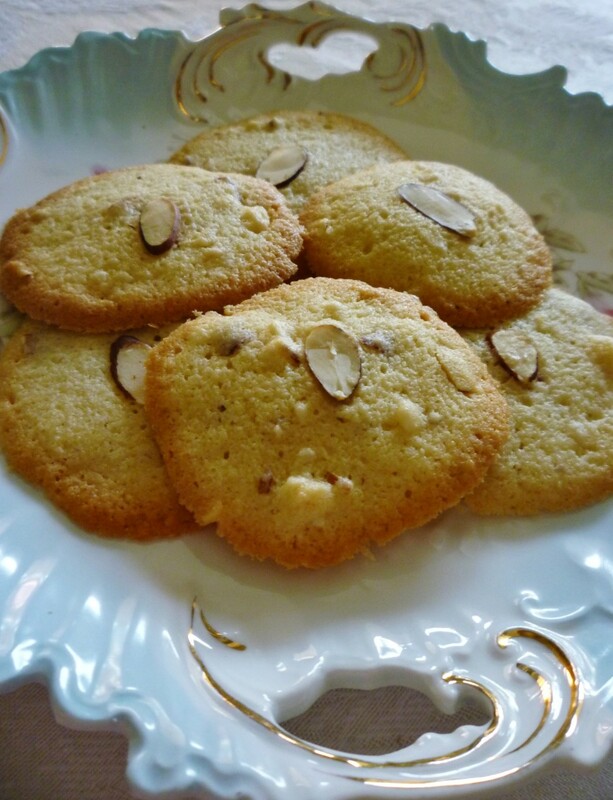 Since you lost your recipe, am sure you will be pleased with this almond paste cookie recipe. Happy to hear that you also enjoyed the videos as well as the photos. Thanks for your comment. So glad that you like the look and sound of this cookie recipe. Appreciate your votes and especially the share. Thanks! I know these are delicious cookies. You have a great library of recipes collected from your mother and mother-in law. I love the aromatic smell of almond extract. 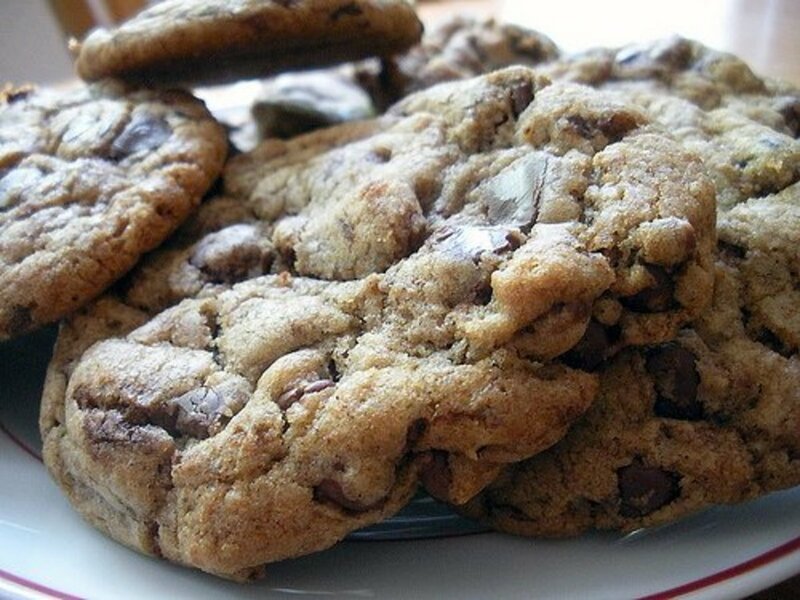 It is hard to control yourself with these delicious and moist cookies. They really make nice gifts and desserts for any special luncheon. Or to just have with coffee. Thanks for sharing your delicious recipe. Awesome hub with photos and videos. Oops, sorry, I didn't actually watch the video yet. Yeah, it is better to be safe than sorry when it comes to nut allergies. Usually when I "take a chance", I regret it later! Have a good weekend, Peggy! Nice to know that you enjoyed this hub and will be making the almond paste cookies. Enjoy! Thanks for your comment. I agree! 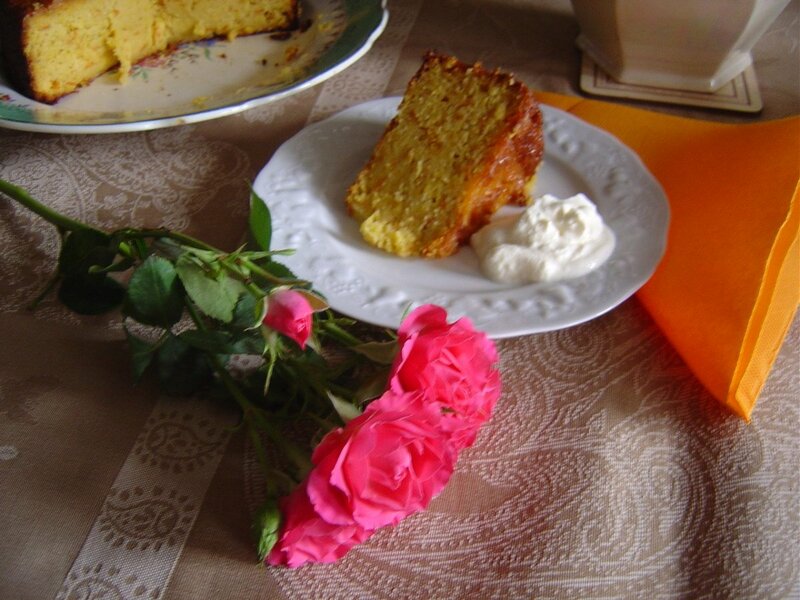 It is fun connecting with our ancestors through the use of their recipes. It can also bring back happy memories as well as getting to taste those old tried and true recipes. Thanks for your comment. I know these cookies will be so delicious! Perfect for so many things, not just eating. Put a few in a zip-lock bag to send home with guests -- if there are any left after desert! You've provided great photos again, too. Voted up, useful, 5 more stars, and will share! I know...sometimes that food pyramid needs to be turned upside down for special moments. :)) Will look forward to reading your nut prescription hub. Too bad that we cannot choose which hubs we would allow to be pinned, but it is all or nothing and I don't want to lose the copyrights on some of my photos by having them posted there. I would not care about food photos. Thanks for the thought and intent and thanks for your comment. I love the taste of almond paste, so I'm sure that I would enjoy these cookies. In fact, I'm certain that I wouldn't be able to eat just one, as your photo caption suggests! Thanks for the recipe, Peggy. Almonds are a good source of protein as you mentioned. Nice that you are making your own almond milk and almond butter. I have been purchasing our almond milk. I should start making my own like you are doing. Glad to know that you liked the sound of this almond paste cookie. Appreciate your comment. If you like almonds, then this recipe should be right up your alley so to speak. Thanks for your comment. Hi Peggy enjoyed reading this article and love this awesome recipe sounds and looks delicious ! Well done ! As far as being passionate about health...am sure that nutritionists would not tout eating too many cookies. The nuts, yes! Sometimes we have to do some cheating with even the best of diets. Right? :) Thanks for your comment. Happy to be able to introduce you to almond paste and to these almond paste cookies. Thanks for your comment. How nice it was to have had your very own almond tree when living in California. I'll bet that you do miss it! Nice to know that you will be baking these almond paste cookies soon. Enjoy! Thanks for your comment. The recipe looks great, the facts your provided are interesting, and I was surprised that almond milk could be made using almond paste! I think the photo of the handwritten recipe card is charming. I love almonds, and I use almond extract in some of my cookie recipes, because I like the taste it gives cookies. I have never tried almond paste, though. The only problem I would have with making these is that almonds give me a really bad headache that won't go away until the next morning (even if I take ibuprofen, which makes most of my headaches go away). Before I discovered that was the cause, I had headaches all of the time. It is tragic to be allergic to them! But for some reason, some kinds of almonds don't give me a headache. It's kind of a hit-or-miss. I may try this at some point, anyway! Thanks for sharing this with us! My hubby is certainly enjoying these cookies! We froze some of them but of the ones in a lidded tin that I left out...he is helping himself to one or two a day. This recipe is a definite keeper! Thanks for the vote up and the share. 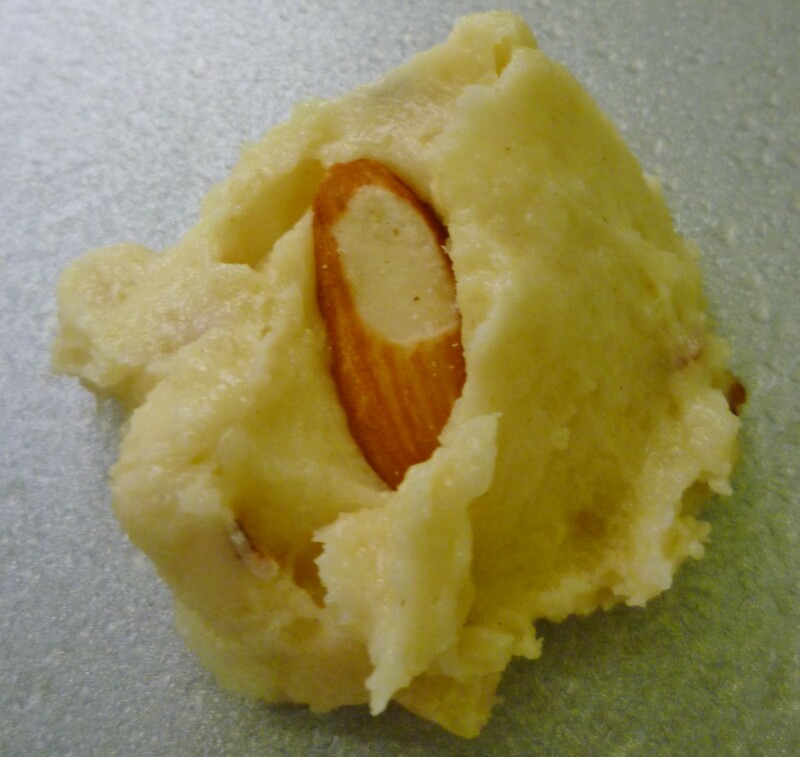 From the sound of it, it would be less expensive to make one's own almond paste if one uses it often enough in baking. I have one more recipe that I want to try someday that uses it as a prime ingredient. These cookies were originally very crisp at first but now, a couple of days later they have become softer like a butter cookie. I am sure that you will love them since you like almonds so much. Thanks for the votes and the share.